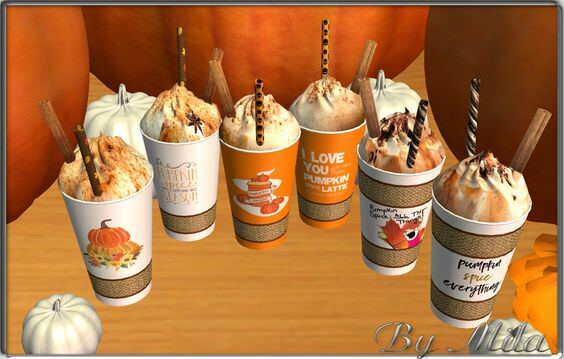 Description: Decorative Pumpkin Spice Latte. 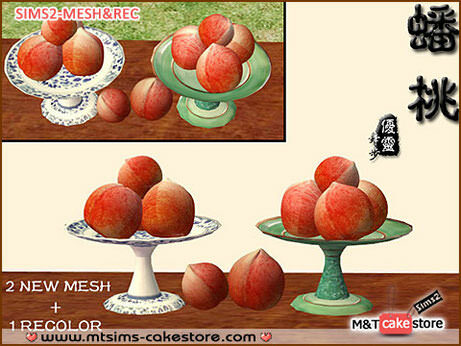 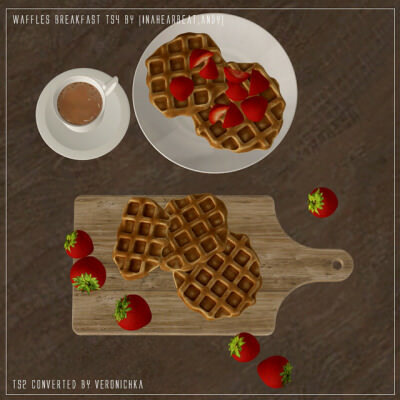 Description: Strawberry waffles converted from the Sims 4. 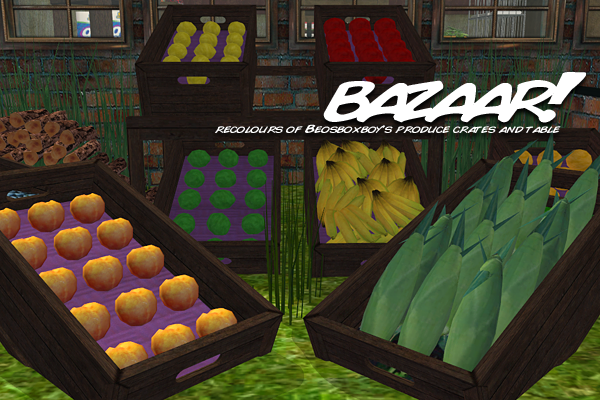 Description: Recolours of beosboxboy's produce crates and table.